Create your own personal retreat. 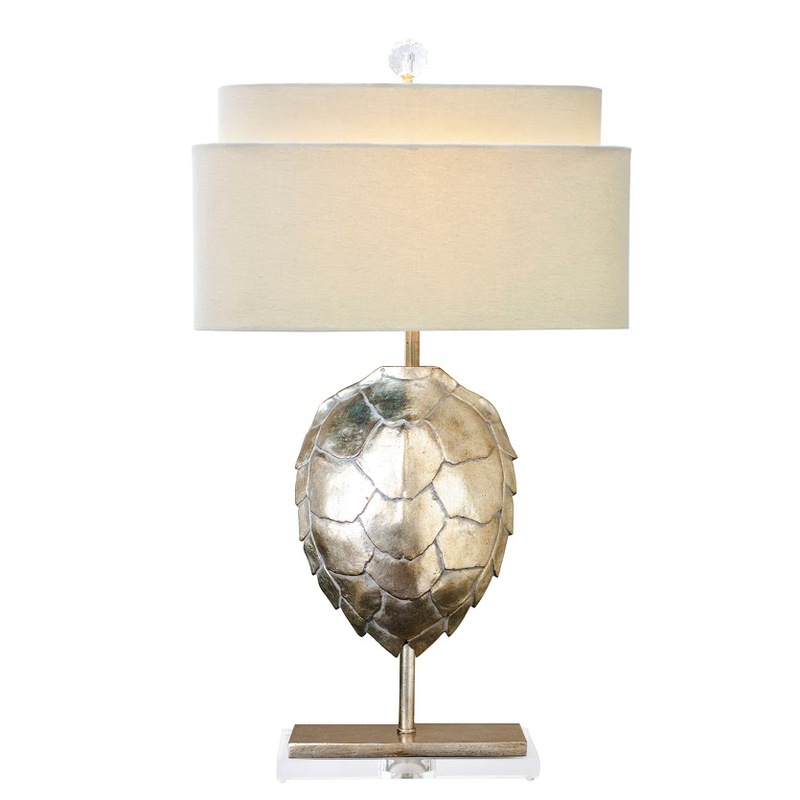 Our tortoise lamp is a thoughtfully recreated tortoise shell hand-cast in resin and finished in a beautiful opulent finish. The finish can look almost silver or almost gold, depending on the natural light. The sculptural shell is mounted on a simple metal pole sitting atop a rectangular clear acrylic base. The shade is a rectangular rounded corner hardback shade in a neutral sand-colored beige linen. Lighting on the wild side. Lamp measures 16.5"H x 30"H and takes a 60 watt bulb.